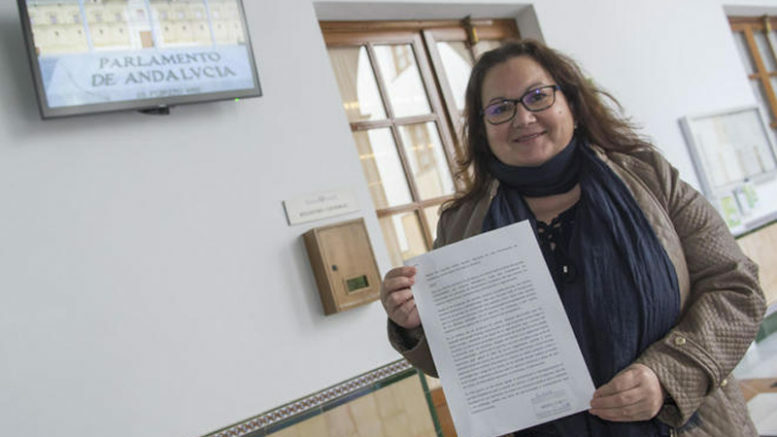 The recent shift in the official ideology of centre-right political party Ciudadanos away from social democracy and towards liberalism has caused a regional deputy in the Andalucian parliament to resign, threatening to destabilize the governing alliance of Andalucian president Susana Díaz even as she enters the to lead the Socialist party (PSOE) nationwide. Ciudadanos deputy Carmen Prieto, who had been openly critical of her party’s abandonment earlier in the year of its inclusive policy of straddling both social democratic and liberal principles in favor of strict adherence to liberalism, announced her resignation from the Ciudadanos parliamentary group yesterday. The resignation brings the Andalucian parliament’s governing majority of deputies sustaining the regional government led by Susana Díaz to just 55 of a total 109 seats — within one seat of losing the majority and potentially triggering regional elections in the PSOE’s Andalucian stronghold. The resignation complicates the national political ambitions of Díaz, who had delayed entering the three-way race for national general secretary of the PSOE while trying to shore up her local party’s hold on power and convince PSOE-Andalucia militants that her departure for the national stage would not negatively impact the party at the regional level. Díaz, who announced her candidacy to lead the PSOE on Sunday at a Madrid rally backed by the party’s “old-guard” leadership, will now enter the national leadership campaign having to look over her shoulder to ensure that the party remains united and her critical base of support remains strong within Andalucia itself.